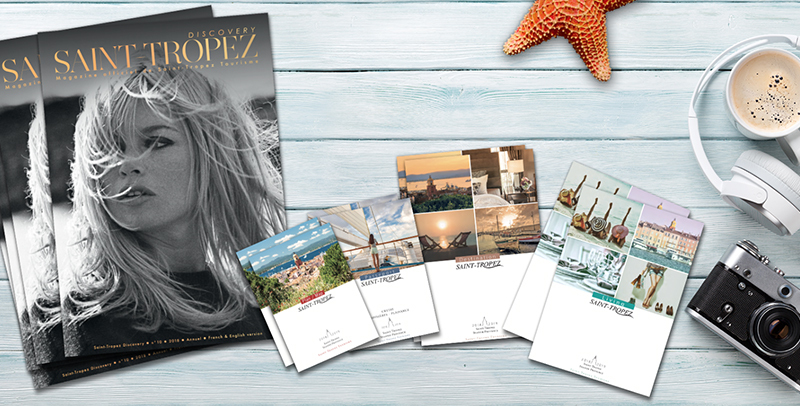 For Saint-Tropez tourism, as for all tourist offices in port towns, municipalities and ports concerned everywhere in France, cruising is a tourist segment with high potential. Indeed, both worldwide and at European level, the cruise market is constantly increasing. Thus only for the Mediterranean, the number of cruise operators have multiplied by 3.7 between 2000 and 2010 (National Council of Tourism 2010 report), and by 4 in the Var. The promotion of a destination for cruise line companies is a key element of tourism policy, whether in terms of image or of economics. Passengers who pass through a port and who stay half a day, one day, sometimes overnight, are the tourists of tomorrow, but also and especially those of today. So in recent years, Saint-Tropez Tourisme has been multiplying actions to promote the Port with maritime companies in partnership with the regional institutions (CRT Riviera and Var Provence Cruise Club) by taking part in the world’s largest cruise fairs such as the Sea Trade Miami. Although strategically we are targeting top range and luxury small capacity vessels, we must nevertheless commit specific measures intended to mitigate the effects of the crisis. And the 27 stopovers and departures from the MSC company in Saint-Tropez in 2013 were the result of this action. Thus, over the last 4 years the number of cruise stopovers in Saint-Tropez have multiplied by 2.5 (+ 39% between 2012 and 2013). Also, economic benefits are more significant, not only for the Port of Saint Tropez, but also for all of our professionals. According to the survey made in 2012 by Var Provence Cruise Club regarding the Port of Toulon, a passenger spends on average €55 during a stopover, and a crew member €15. For the Port of Marseille in 2010 this is € 135 / passenger. In its 2010 report (French document), the National Tourism Council considered that, even if it is difficult to measure, the direct impact on local economy of a home port is considerable. They noted that these benefits obviously vary according to customer profile. More this customer has a strong purchasing power, logically the more he spends. But it also depends on cultural habits. Thus expenditure varies according to nationalities. The council’s study mentions that the Americans and the British for example tend more to buy tourist products. As in Saint-Tropez, the majority of cruise passengers are Americans and Anglo-Saxons (even if there are more and more Italians, Germans and French), these being luxury or high-end passenger cruises, it is obvious that the immediate benefits are considerable. At each stopover, our trilingual advisors are present to accommodate passengers and to inform them about all our destination’s attributes (shopping, restaurants, bars, beaches, heritage and culture) by offering them our Cruise Passport brochure (FR/GB). This Passport contains our advertisers’ addresses, our destination’s must sites and events, maps of Saint-Tropez and the region. It is also available (free of charge) for our clientele within the harbor master offices of Saint-Tropez and its region.